This body of work is intended to bring us back into an awareness of our connection with nature, its beauty, its ability to adapt, transform and for rebirth that is also a part of the natural cycles of destruction and recreation. 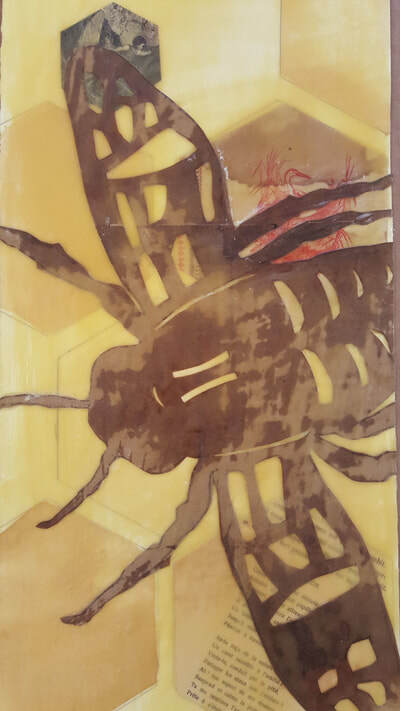 The process of creating this work comes from my fascination with this adaptability of nature to transform external influences including using what it has found in creative ways. All of the pieces are made from found and up-cycled materials, handmade paint and organic materials. 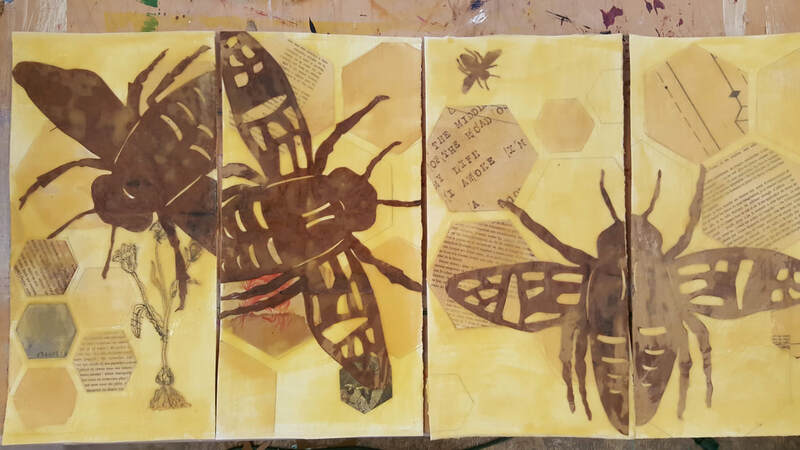 A number of my projects are created as interactive pieces where the art is influenced by the direct workings of insects, birds and natural elements on the pieces. 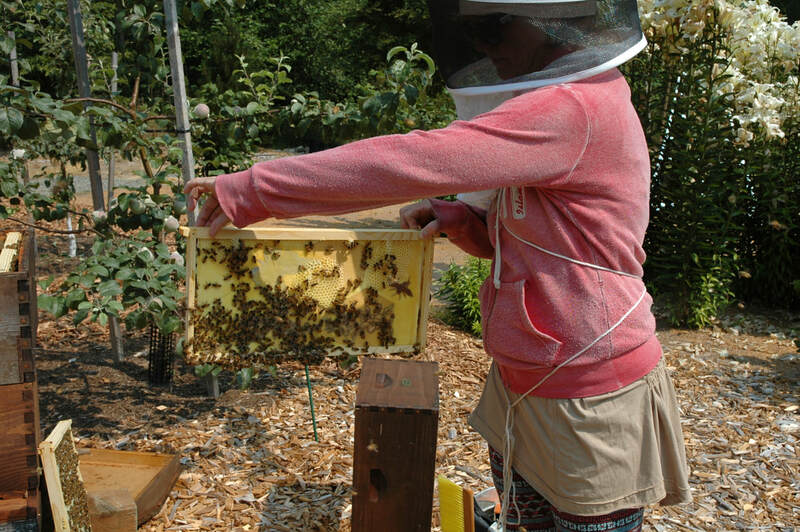 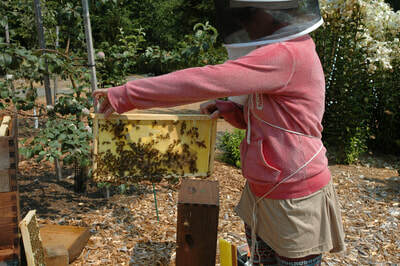 'Winged Migrations' funded by an Artist Trust GAP grant was an interactive project that involved over 50,000 honey bees. 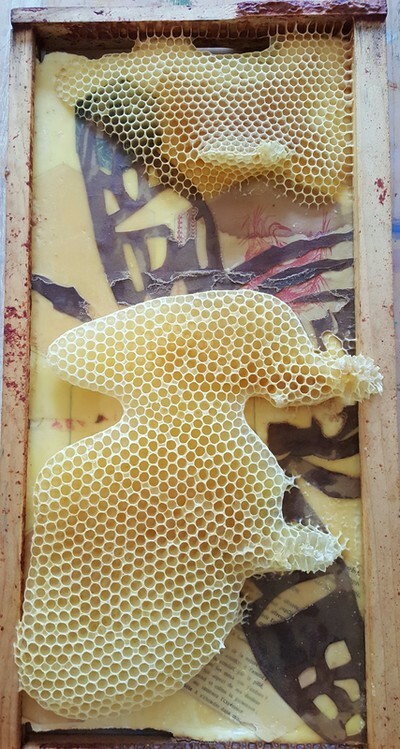 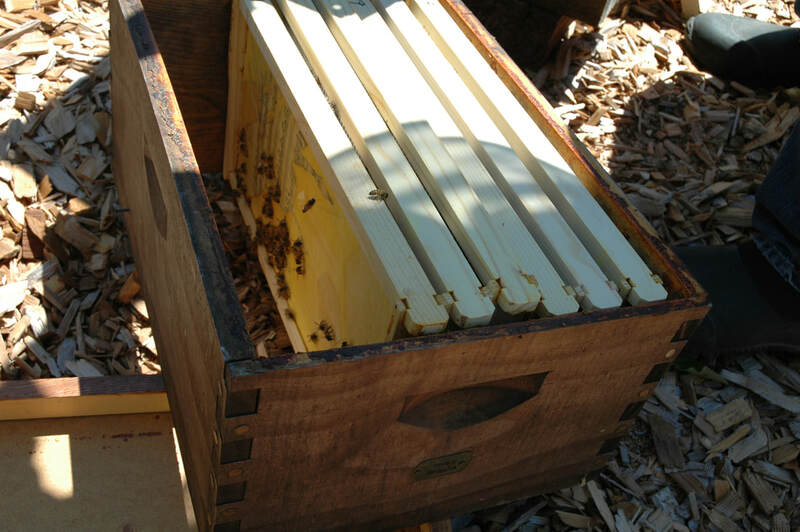 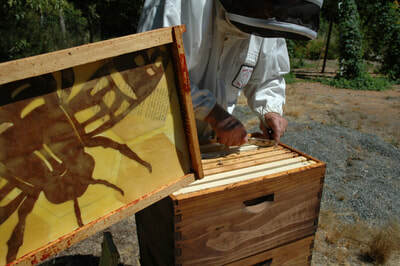 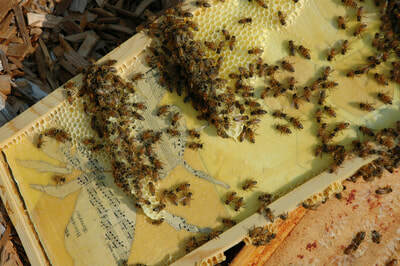 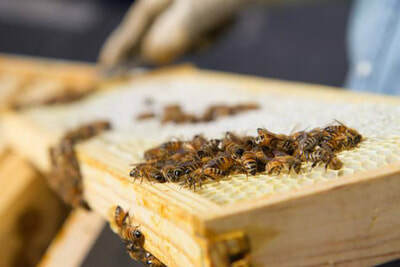 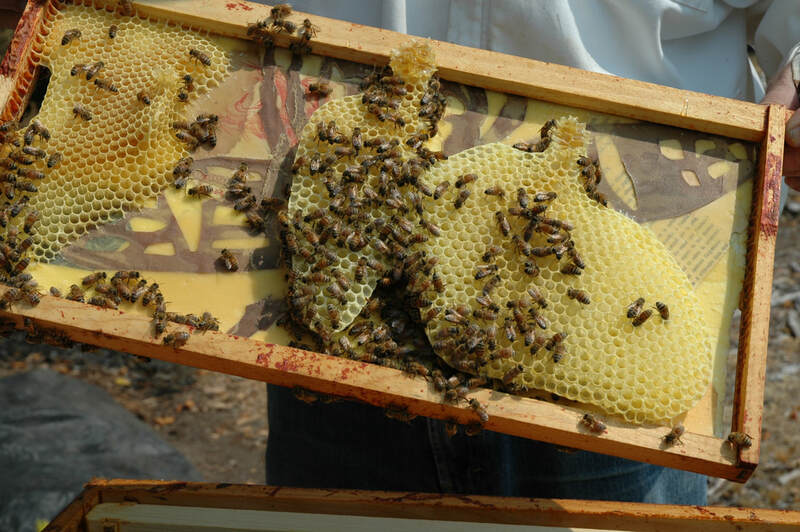 The bees worked on seven art works that were placed inside their hives for a number of weeks before being removed. 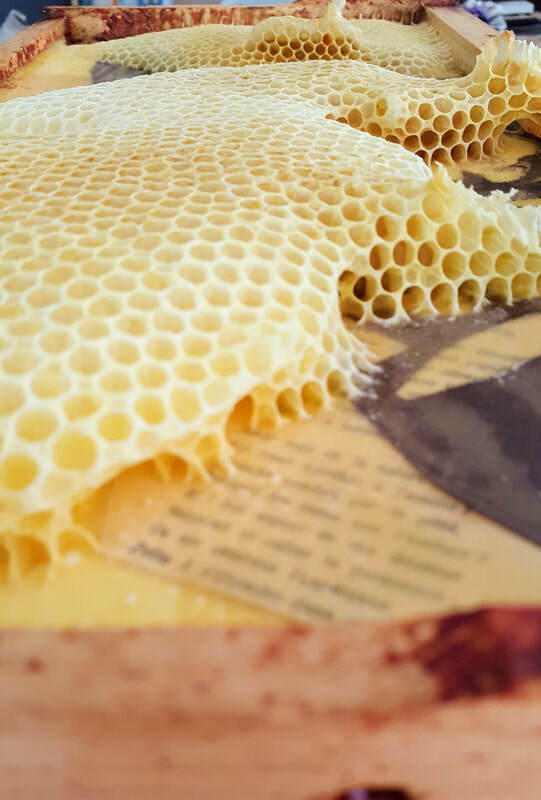 Some of the amazing results can be seen here.